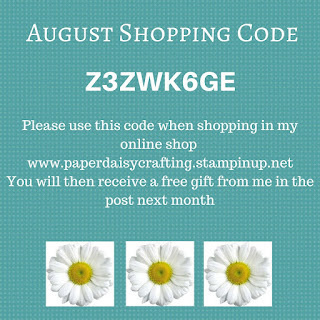 Paper Daisy Crafting: First of August and lots of new offers for you! First of August and lots of new offers for you! Wow, today is 1st August and there is so much to tell you about in the Stampin' Up! world! We have hardly had time to catch our breath after the fantastic joining offer that lasted throughout July and the Buy 3 Get 1 FREE on DSP's offer, but now there are even more offers for you to enjoy. 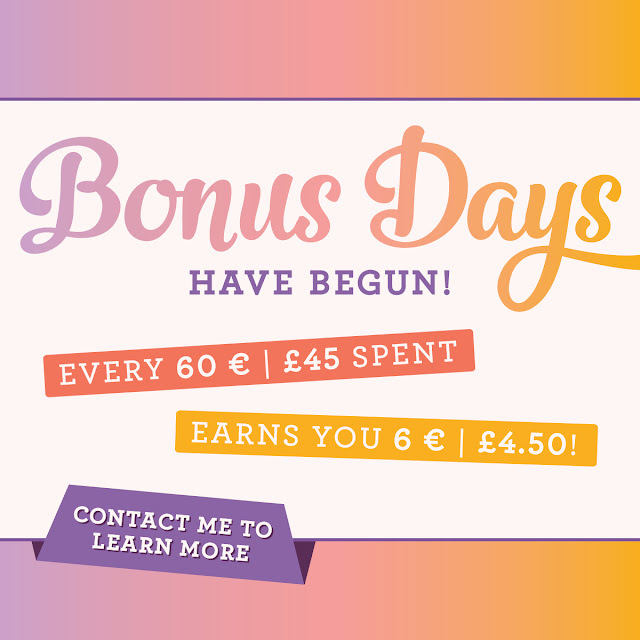 Firstly, I'm so excited to tell you that Bonus Days are back. Not sure what that means? Well let me explain! 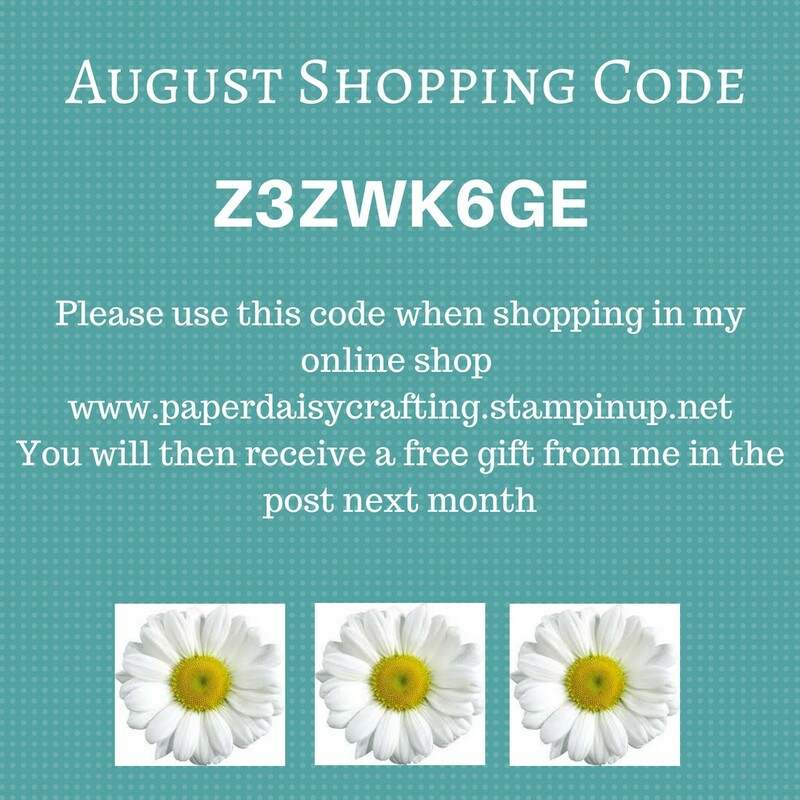 During the month of August, Stampin' Up! is offering Bonus Days coupons - for every £45 you spend in August, you earn a £4.50 coupon that you can spend in September. How fun is that? For every £45 you spend on a single order, you will receive an email with a coupon code that's worth £4.50 in September. Spend £90, get two coupon codes, spend £135, get three etc etc. Coupon codes will be emailed to you. Look after those emails and those codes carefully because they mean free product in September. If codes are lost, they cannot be replaced so look after them carefully! Secondly, we have a brand new exclusive bundle of products available now but only for a very limited time - until the end of August. We have an amazing new bundle of Stamp Set and Dies and also a set of 10 Brand New watercolour pencils in colours we’ve not had before! 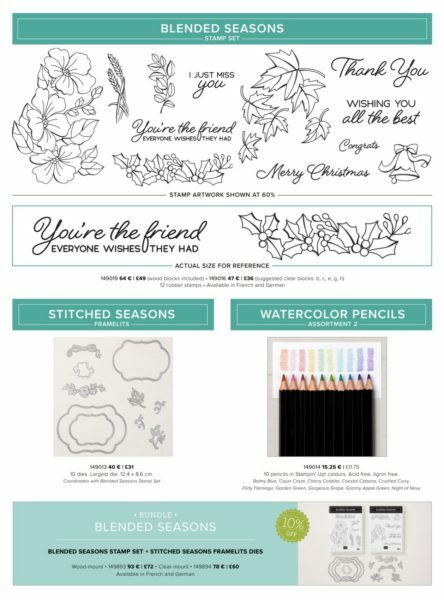 The stamp set is called "Blended Seasons" and has a great range of images and sentiments to keep you crafting the whole year - make projects for Spring, Summer, Autumn and Christmas. These high-quality, smooth color pencils are perfect for creating watercolour stamped images. Use with Aqua Painters, Blender Pens, or alone. I have used my first set so much and can't wait to get my hands on these new ones. Each product is available individually or you can buy the stamps and dies as a bundle and get a 10% discount. Click on the links below to get a closer look at the products. I'll be back later in the week to show you some samples made with the bundle! Yes, first of the month means that I have a new Monthly Shopping code. Use this code when you order online (or let me know that you'd like to use it when you order in person) and the following month you will receive FREE gift from me in the post.